Missouri is Number 50! 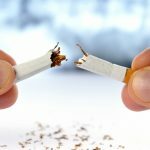 That is the reputation the state has earned when last week the state of South Carolina raised its tobacco tax. Now Missouri has the lowest tobacco tax in the United States. Not surprisingly, Missouri has one of the highest smoking rates in the United States. Research tells us that the higher the prices of cigarettes, the less people buy them—especially young people. Now that Missouri has received this distinction, hopefully voters and/or the Missouri law makers will get serious and pass a meaningful cigarette tax increase. 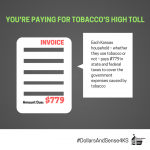 No preventable public health issue in modern times has received as much attention as the harm caused by tobacco – that is why in the last year eight years 46 states have increased their tobacco tax a total of 99 times. Not Missouri. That is why 27 states have enacted clean indoor air in their states to prevent smoking in public building, bars & restaurants in the last several years…including our friends in Kansas thanks to the leadership of Governor Parkinson. Not Missouri. It is frustrating to see leaders in most other states tackle this tobacco issue and come up with common sense solutions while Missouri legislative leaders bow down to special interest groups who benefit from the tobacco industry. Maybe now as we are truly embarrassed that Missouri is number 50— Missouri leaders will take some action.